Metal Gear Solid V: Ground Zeroes continues the franchises mixture of stealth, action and adventure on a large selection of platforms. In this adventure players will take on the role of Snake as he infiltrates Camp Omega as he rescues the Cipher agent known as Paz Ortega Andrade and picking up the former child soldier Chico along the way. Uniquely this addition to the franchise allows players to pick the order of story events with mission selection up to the player. 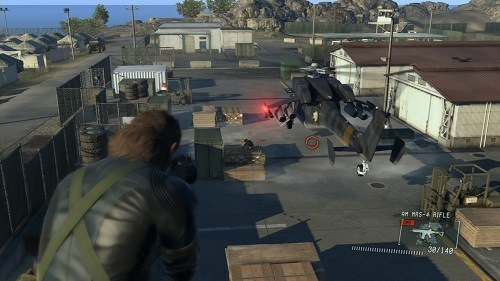 Metal Gear Solid V: Ground Zeroes features a very small number of main missions (7) and instead chooses to improve the amount of content through side missions and other challenges for players. Attacking these missions has plenty of difficultly for the Metal Gear Solid veteran but there are a number of new mechanics that ease this difficultly for newer players (most of them are on by default but can be turned off). These are mostly related to indicators that alert the player to whether or not they have been spotted or should be cautious. Things like making too much noise, or light (especially during the night missions) alert enemies to your presence. 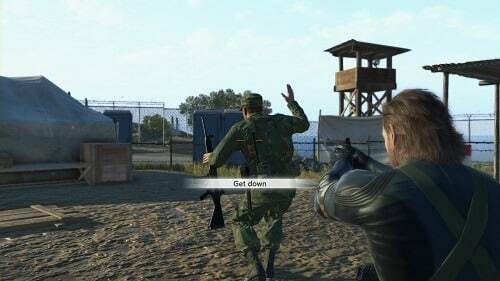 While on the other side of the fence going for silent takedowns and hiding the bodies will allow you to move freely around the given scenario. One thing the game has really tried to work on is the AI behind enemies. It’s very clear that most enemies aren’t restricted to a single movement path with enemies regularly seemingly deviate from what you might expect as well as randomising the times they turn and look around. Resulting in a much more realistic stealth experience. With a solid stealth adventure that has some room for more aggressive play Metal Gear Solid V: Ground Zeroes is worth picking up for those that love a bit of stealth gameplay. However, due to the short nature of the main missions you’ll need to be willing to partake in the alternative methods of play to get value on your dollar. A continuation of the Metal Gear franchise. Focus on stealth but still some room for direct combat. New visuals and cues to give you information. Great AI design that feels natural and not static. Short campaign that gets gameplay hours from bonus missions.